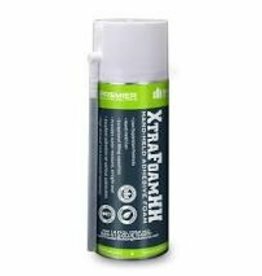 Safecoat DynoFlex is a unique, water based, low odor elastomeric sealer formulated in a pastelike compound for sealing seams, joints and cracks in new and old heating and air conditioning ducts, and for repairing metal roofs and asphalt shingles. 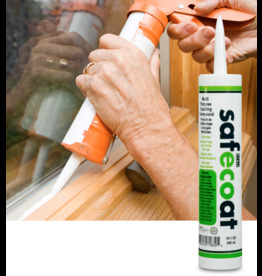 Safecoat DynoFlex is highly resistant to harsh weather and temperature changes. It remains flexible and prevents leaks even after exposure to the elements or contraction due to weather. Safecoat DynoFlex is resistant to gasoline, oil, grease, fungi, acids, alkalines and flame spread. It is also a superb sound deadener. Safecoat DynoFlex is recommended for new and old heating and air conditioning ducts, metal roof cracks, dam- aged asphalt shingles, mobile home roofs and similar areas. Non-offensive to installer and occupant. When used in conjunction with SafeChoice Super Clean, DynoFlex is a full system for sealing, cleaning and maintaining all heating and air conditioning ducts.